Winning comment is # 51! 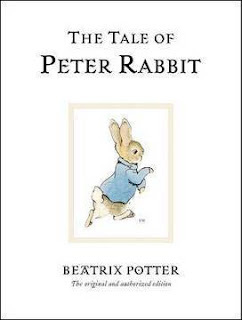 Are you a fan of Beatrix Potter’s classic tales Peter Rabbit? Now, your children can enjoy Peter Rabbit's organic products too. I was lucky enough to receive a collection of Peter Rabbits products to review and I was impressed by the quality. The package I received included the Peter Rabbit baby shampoo, Peter Rabbit creme for baby, Peter Rabbit book, and Peter Rabbit rattle. While the rattle was super soft and perfect size for a baby, the shampoo and creme were great for a baby's sensitive skin. We have been reading the Peter Rabbit book to DD and she really loves it too. (Estrogenic Activity) free of harsh ingredients and are made with the highest content of USDA/ NOP Certified organic juices, oils, and extracts in their US Certified organic facility. The perfect rattle for baby hands to hold and is made from 100% certified organic cotton, eco-friendly materials, phthalate-free, PVC-free reusable packaging, produced in socially responsible factories and safe for all ages. This special edition of the classic children’s book features a new cover design which is printed directly onto the board of the book and is published without a jacket. 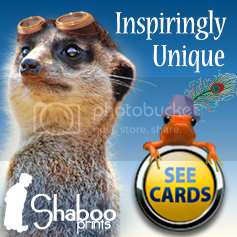 The book is printed on paper from FSC accredited sources and uses vegetable-based inks. 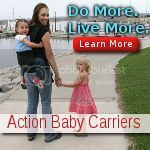 Want great orgnaic products for your children? 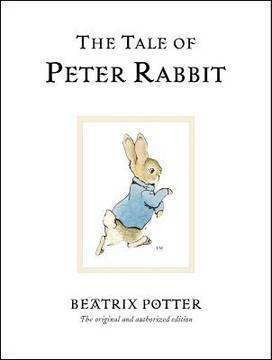 Please visit the Peter Rabbit website. Many thanks to Peter Rabbits. The company has generously offered a giveaway package to one of my lucky readers (US residents only please). 1). Please go to Peter Rabbit and then come back to tell me about another product you would like to try (you MUST be a public follower of my blog to enter this giveaway, and your profile can not be set at private). 2.) Blog about my giveaway- with a link back to here, when you leave the comment make sure you include the URL of where your post of my giveaway is. Please do not copy and paste my review over to your blog, please write about why you would like to win this giveaway and provide a link back to this post. The Contest ends August 26th, 2010 at 11:59pm PST. Blogging about my giveaway earns 2 additional entries. 7.) Tweet about this review and giveaway. 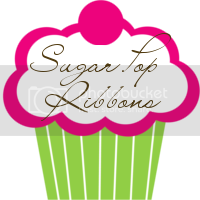 Please tweet the following: " I want to win Peter Rabbit Organics products @ http://www.sugarpopribbons.blogspot.com/ ". After your tweet, please leave me the url of your tweet so I can check. If you do not know how to check your tweet url, please read this post for step by step instructions. You can retweet once a day for 1 entry each time. The Peter Rabbit Gift Basket is nice! I like the Peter Rabbit Bound Photo Journal Album. I would like to try the spring garden baby lotion. I entered your Summer Infant Playard giveaway. I love the little Jeremy Fisher beanie! I'm a follower. I like the Waggie Musical Peter Rabbit. I'd love to try the Baby Balm for my dry elbows! 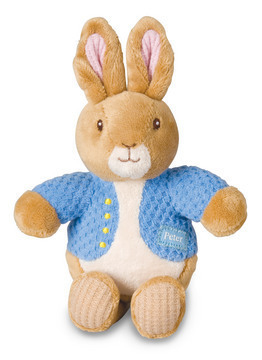 I'd like to try the Peter Rabbit Newborn Gift Basket ~ that would make such a nice gift! I commented on your Medela Mommy Party post. I entered your Li'l Shopper giveaway. 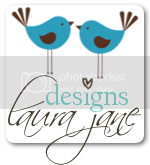 I entered your La La B Jewelry Giveaway. I entered your Delicate Soles giveaway. I entered your Minute Maid juice giveaway. I entered your PearlParadise.com giveaway. I entered your Petunia Pickle Bottom Diaper Bag Boxy Backpack Giveaway. I entered your Celazome Clinical Skin Care Giveaway. I entered your Dippy Cups Giveaway. I entered your Iris Jewelry Designs Giveaway. I entered your Zevia Diet Sodas Giveaway. I entered The Ultimate Green Store speaker boxes Giveaway. I entered your National Geographic Kids Books Giveaway. I entered your Rubbermaid Reveal Spray Mop Kit Giveaway. 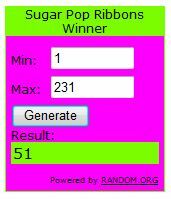 I entered your Rainbow Swirlz Review $40 GC Giveaway. I entered your Corner Art Decoration Giveaway. I entered your [me] & goji Custom Artisanal Cereal Giveaway. I entered your P.S. from Aéropostale $25 GC Giveaway. I entered your Lee Jeans Giveaway. I entered your Glob Natural Paints Giveaway. I entered your Patch 3D Floor Puzzle Giveaway. I entered your Green Time Bags Giveaway. I would love to have the cute Mr. Jeremy Fisher Beanie! I would love to try the intense cream. the peter rabbit newborn basket would make a perfect gift! I like The Tale of Mrs. Tiggy-Winkle-very cute! I really like the Jemima Puddle-Duck Beanie. The Miniature World of Peter Rabbit 12 copy Mini drawer is really cute. I entered your Power Capes giveaway. I entered your hello hana giveaway. I entered your bumblewee giveaway. Would love to try their baby shampoo! $21.99 . I follow gfc as kngmckellar. I follow publicly and I like the Mr. Jeremy Fisher Beanie. I entered your just gano giveaway.